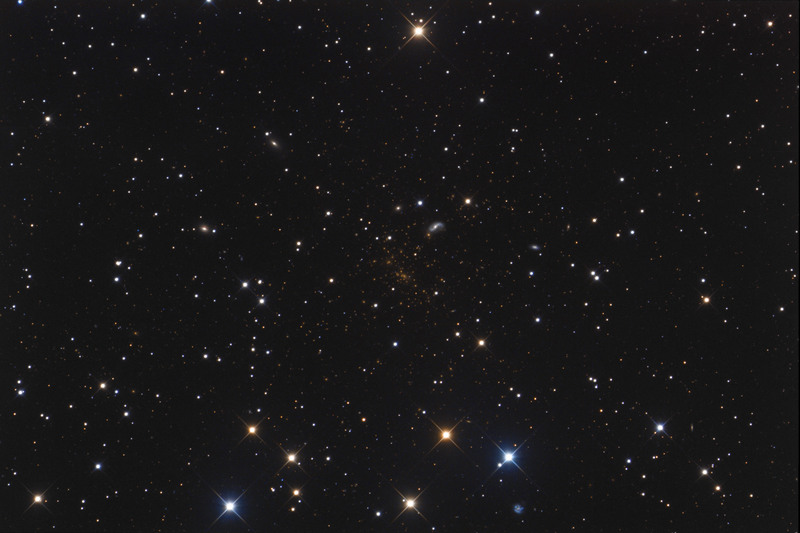 Center of the cluster at 200% resolution. 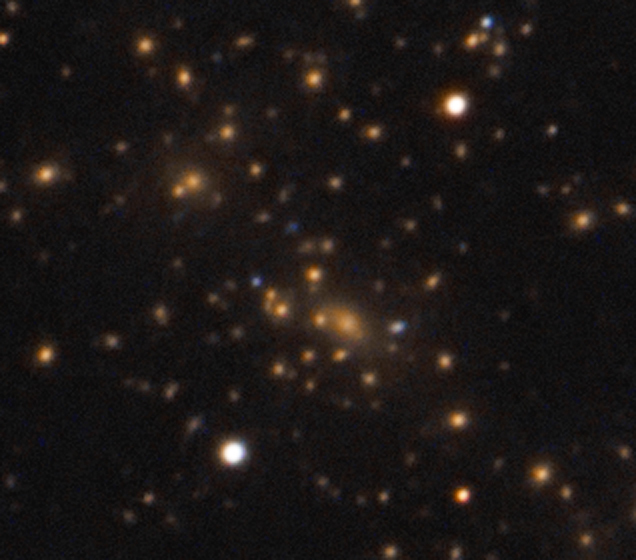 Mouse-Over shows the Hubble resolved gravitational lenses. eXcalibrator v3.1 (g-r) color balancing, using 68 stars from the SDSS-DR8 database. Abell 2218 is a cluster of galaxies about 2 billion light-years away in the constellation Draco. Because the cluster is so massive and compact its gravity bends and focuses the light from galaxies far behind it. As a result, multiple images of these background galaxies are distorted into long faint arcs. This effect, called "gravitational lensing", was predicted by Einstein and allows astronomers to see galaxies at great distances. The above mouse-over image shows that only a few of the distant galaxy arcs were very faintly resolved with the Focal Pointe Observatory 12.5 inch f/9 optics.